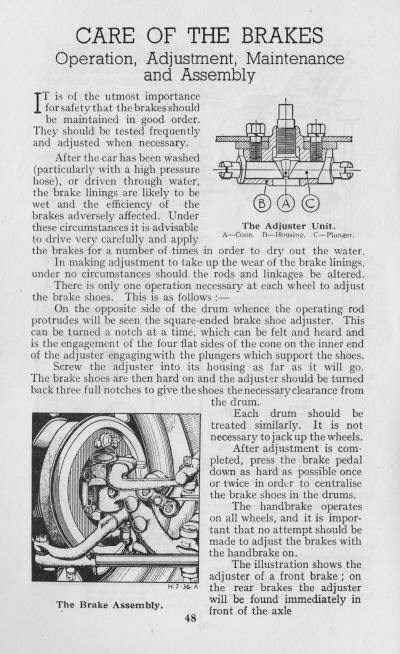 Brakes on old cars are notoriously unreliable, especially when hot. 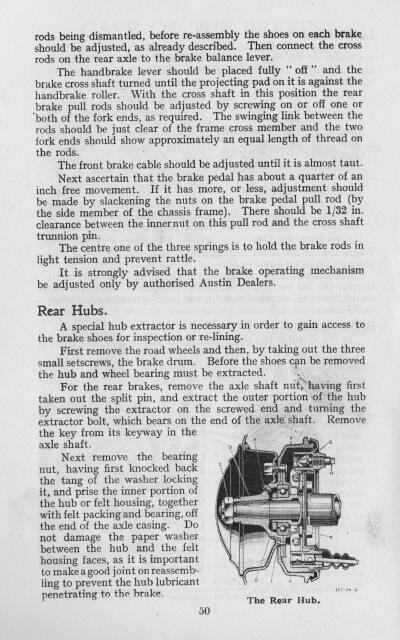 Therefore, the care and adjustment of the brakes on all wheels is an important part of the regular attentions. Whilst the recommendation is to turn the adjuster back by 3 full notches, many Seveners find that 2 notches is better. Occassionally do unscrew the adjuster as far as possible and apply a little spray grease to the thread. 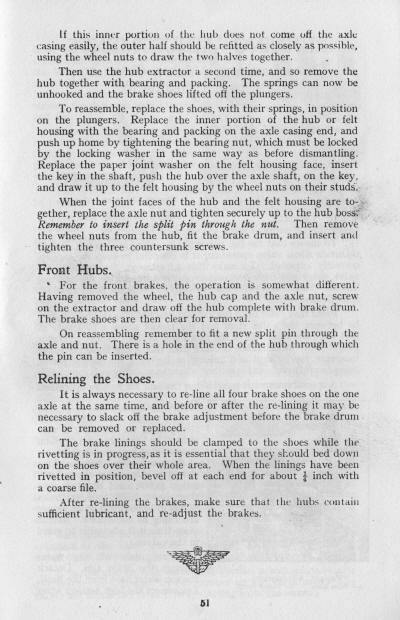 NB: If you do not have the experience, skill and equipment to reline brakes shoes then be advised to take them to a company who can remove the previous linings, glue and rivet the new ones. 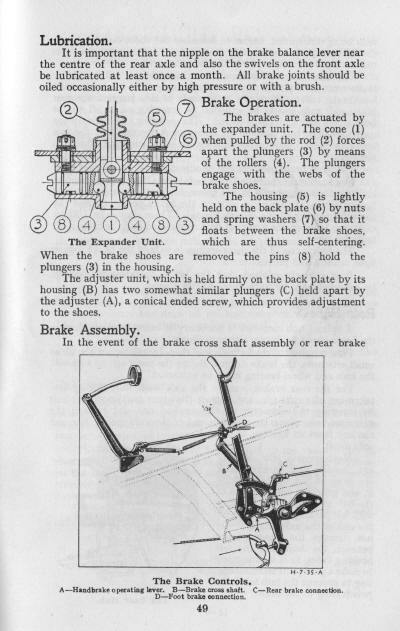 Brake linings must be securely attached to the shoes. If the shoes are damaged, or cracked, then do replace them.